CP-264 is a plug-n-play RGBHV to YPbPr Color Space Converter. 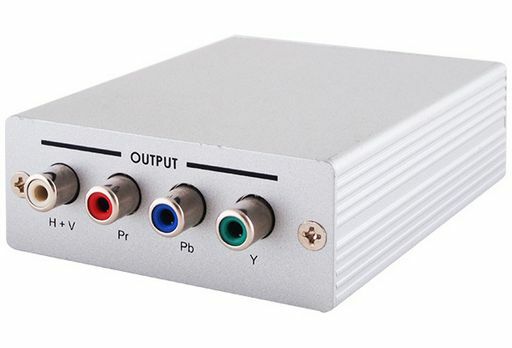 It enables you to view PC graphic image on a HDTV via YPbPr connection. Since the input signal is not scaled, the signal timing of input and output are the same. Colour & interlace converted. Computer output resolution and refresh rate must be at TV compatible settings. (Depends on TV Monitor and PC Card) Simple to operate, plug and play, To view PC image on component HDTV. Compatible with both interlaced and progressive RGB input.